Tomorrow I will be heading off to a 10-day silent meditation retreat in Blue Ridge, Virginia. 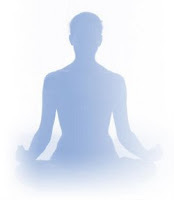 The meditation technique being taught is called Vipassana and it goes back a long time, more than 2,500 years. Although I can't say what the retreat is going to be like exactly, I have gathered a lot of information about it from Dhamma.org, 43Things.com and Gaia.com where I first heard about it from Brian Johnson, the founder of the website. I am very excited about the experience and I think it is going to be awesome. As far as why I am going on this retreat, there are two big reasons: (1) I want to learn how to meditate properly and (2) it will be rare for me to have this kind of availability again any time soon. I know ten days seems like a long time to dedicate to one thing like meditation, but from what I understand you really only scratch the surface in that amount of time. I can't think of a time in my life when I had even one day of complete silence to quiet my mind, much less ten days. There will likely be ups and downs, but overall I think it will be a very valuable experience that I will be grateful and proud to have had. When I finish the retreat I will have a lot to share and I look forward to that too! Newer PostYour Check From George W.